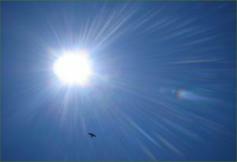 The Summer Solstice is a Fire Festival, marking the turning point in the year when the sun “stands still” in the sky. 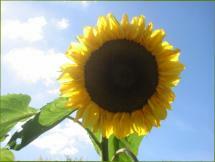 It’s a time for honouring the life-giving force of the sun and its regenerative and fertilizing powers. Our ancestors would have used this day to mark their calendar; all over the Northern Hemisphere people would celebrate the longest day, and shortest night, of the year. This is traditionally a time of magic, as Shakespeare depicted in Midsummer Night’s Dream. 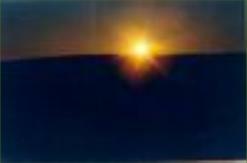 In more recent years, the Solstice has been brought to the public’s attention by media coverage of celebrations and rituals held at Stonehenge and other sacred sites. In many places there are standing stones aligned to the Solstice sunrise. However, the place where the midsummer sun rises is exactly the same spot where the Full Moon closest to the Winter Solstice rises. Perhaps these standing stones were aligned to the mid-winter moonrise, and nothing to do with the Summer Solstice! It requires some commitment to be up to greet the rising sun at this time of year. If you haven’t yet risen in the strange half-light of pre-dawn and sat patiently waiting for the first glimpse of the sun, do try it. It’s wonderful to be part of a large gathering, but it can be even more spiritual to witness alone the rays of the sun clearing the horizon. Tune yourself into the rhythm of the earth, imagining the planet at its utmost tilt towards the sun. You’ll feel in harmony with our ancestors who did exactly the same thing for so many centuries. The same is true of the Solstice sunset, many hours later. And there’s a certain sadness in knowing that the days will now be getting shorter again. 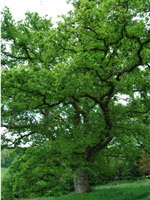 The symbol of the Summer Solstice at Stonewylde is the oak leaf, as folk lore tells us that this was the festival of the Oak King. There was perennial conflict between the Oak King and the Holly King, one superceding the other at each solstice, with each ruling for six months. This may be the origin of the practice of burning the Wicker Man – a symbolic ritual. In the Stonewylde series, Magus is born at the Summer Solstice and is therefore the Oak King, and Yul the Holly King at the Winter Solstice. They represent opposing forces – Magus with his dark eyes and silver hair, Yul with his black curls and grey eyes. In fact the series could be summarised as the battle between these opposite powers – Yul and Sol. Winter and summer. Darkness and light. 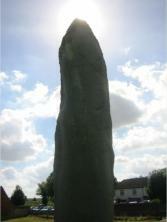 At Stonewylde this is the start of a week long holiday heralded by a ceremony on Solstice Eve in the Stone Circle. At dawn of the Solstice, a boy stands atop the great bonfire watching for the first rays of the rising sun, and the magus receives powerful green magic on the Altar Stone.